ProblemI seems to be able to add items to a Time Logging within a task, but I cannot delete them or modify them. Is there any way to do this? I seems to be able to add items to a Time Logging within a task, but I cannot delete them or modify them. Is there any way to do this? Go to the tasks list used with Kanban Task Manager. Open the LIST tab and click on the Modify View option. An Edit View page will open. Check the Time Logging column to include it in the default view. 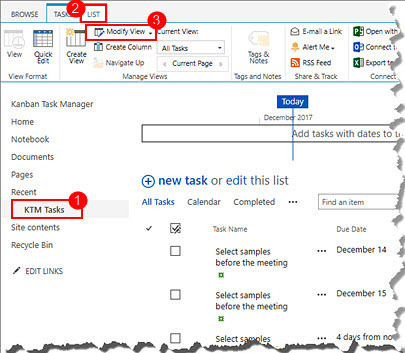 Open the tasks list used with Kanban Task Manager in Edit mode and select the Time Logging cell of the particular task. 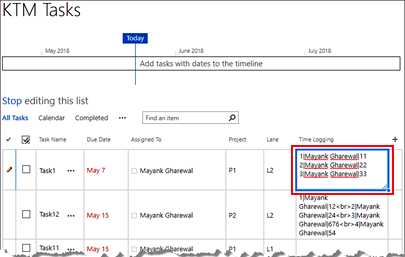 Now you can modify the Time Logging item text or delete the particular row in the cell to remove the Time Logging item. 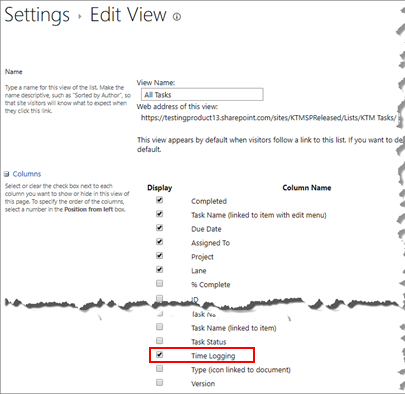 After modifying the Time Logging item(s), click on Stop editing this list to save the changes.